Details: this GSE is an indicator for network upload/download speed. 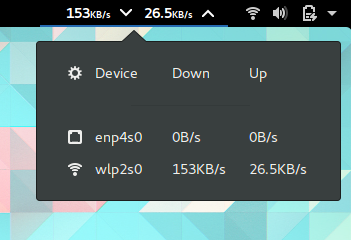 I always install it before any other GSE in every new GNOME system I have. Details: this GSE provides yellow notes side by side on the desktop, associated with its icon on the left panel. Details: this GSE provides Pomodoro Technique support. You can set your time, go focus on your task, and let it countdown for you. Details: this GSE provides easy switching for system network proxy selections. It's good when the user need to change proxy quickly in one click, far more quicker than reconfiguring GNOME System Settings. Details: this GSE provides a real-time ping result right on the panel. It's good when the network connection is not stable, so the user knows when the network is down. By using this, I don't need to manually open any Terminal window for pinging. 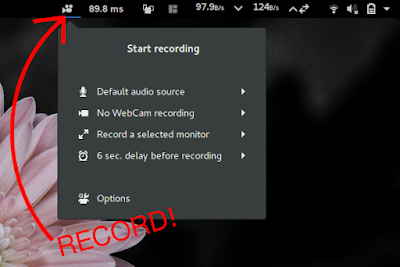 Details: this GSE is a desktop screen recorder, it can record video while recording audio input (your voice), just like Camtasia Studio (Windows) or SimpleScreenRecorder (GNU/Linux). It's good for you being a podcaster in GNOME. Details: this GSE provides bottom panel for running application switching. It's exactly the same with bottom panel in traditional desktop in Microsoft Windows, KDE, or Cinnamon. 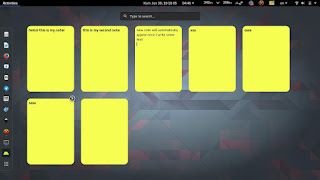 You can access the minimize, maximize, and close buttons from right-click on the list. 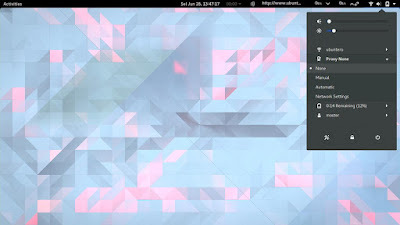 For those dislike the default GNOME style in application switching, this GSE is very helpful. Details: this GSE provides desktop search dialog from internet search engines such as Google and DuckDuckGo. For you experienced with Windows 10, it's similar with its search feature. Press Ctrl+Space to open the dialog, press Esc to close it, and just type any keyword to search. It's default search engine is Google.